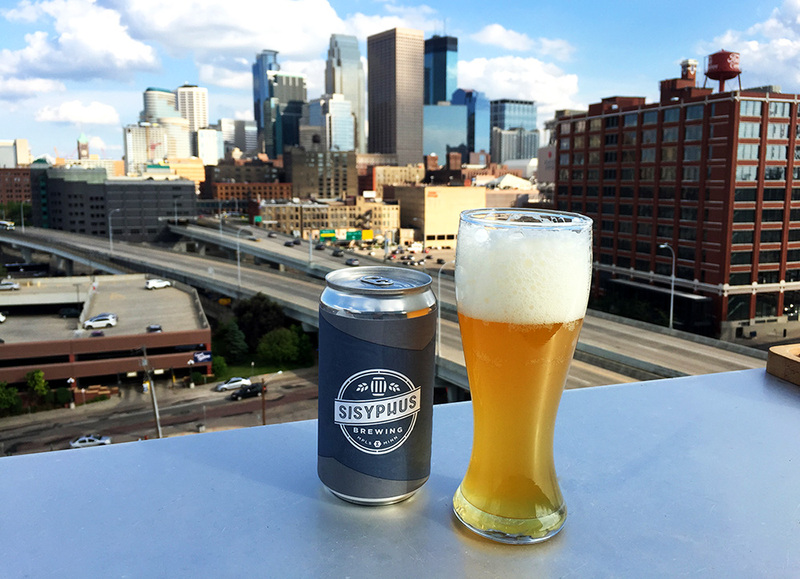 Welcome to the second edition of Bitter Minnesota Beer of the Week – Sisyphus Brewing Citra Hop! For this blog series, we partner with local breweries to bring to you interesting behind-the-scenes stories about how some of your favorite local craft beers are made. This week, Samuel Harriman, owner and head brewer at Sisyphus Brewing tells us more about Citra Hop. Sisyphus Brewing Citra Hop is a session pale ale that is perfect for summertime drinking. At 3.5% ABV and 34 IBU’s, it is the lowest alcohol beer that we have made yet, but is not lacking in flavor or aroma. The Citra hops used provide a tropical fruit aroma and taste. We set out to make a beer that you could have a few of while still getting the full flavor of an IPA. Sisyphus Brewing specializes in one off and small batch brewing, with the use of a two barrel brewing system. We are located near Dunwoody College and the Basilica, just blocks from downtown Minneapolis. We also specialize in live comedy, having most recently been voted the Best Non-Club Comedy room in the city. We are about to begin our first expansion that will double our production capacity and allow us to begin our Barrel Aging and Sour Beer programs. All of the hops for this beer were added in the last 10 minute of the boil, to preserve as much aroma and flavor as possible, while providing enough bitterness to balance out the beer. It is hopped only with Citra hops. The grain bill is pretty simple, with pale 2-row for the base malt, and a little bit of caramel malt and a little bit of dextrine to add some mouthfeel and sweetness to the finished beer. The dextrine and caramel help to add much needed body to a low alcohol beer. It is fermented with an American Ale yeast. When can I buy Citra Hop? All Sisyphus beers are only available at our taproom. This beer can be purchased in Crowlers (can growlers), mini-growlers, and by the glass. None of our beers are on our tap list 100% of the time. We change things up weekly, but look for the Citra Hop to be a common occurrence throughout the rest of the summer. This is an ideal “lawnmower beer”. Previous customers have confirmed the quaffability of this beer while enjoying the Minnesota summer. Sisyphus Brewing upcoming events, hours of operation? Watch for us to complete our expansion sometime in the fall. We’ll be adding more beers on tap and our comedy club build out will be completed. Starting in the fall, we will feature national headlining comedy acts, bands, and a whole lot more. Sisyphus Brewing is open 3-10 pm on Wednesday/Thursdays, and noon -midnight on Fridays/Saturdays. You can also visit the brewery on our Saturday evening public tour. Looking to try some Sisyphus Brewing beer?